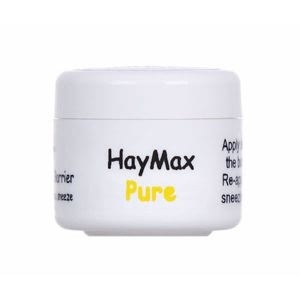 HayMax is an organic balm that is applied to the rim of the nostrils. It has been proven to reduce dust and pet allergens and more than a third of pollen from entering the body. Less allergen, less reaction.